Choreographed to build anticipation, a series of twists and folds define the spatial journey through this Fairhaven beach house – from the dramatic vertical entry space to arrival at the main living quarters. Here, a window aperture frames the cinematic proportions of the Bass Strait outlook. 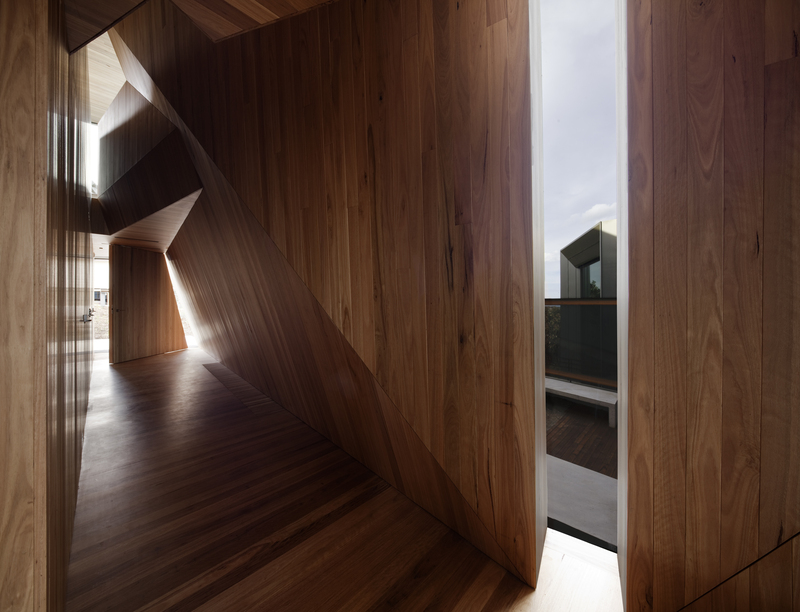 Wrapping the interior solely in blackbutt timber allows inhabitants to become completely immersed within an enclosure designed for living, yet cognisant of views beyond.